Hard to believe that Labor Day is right around the corner! How fast did this year fly, right? 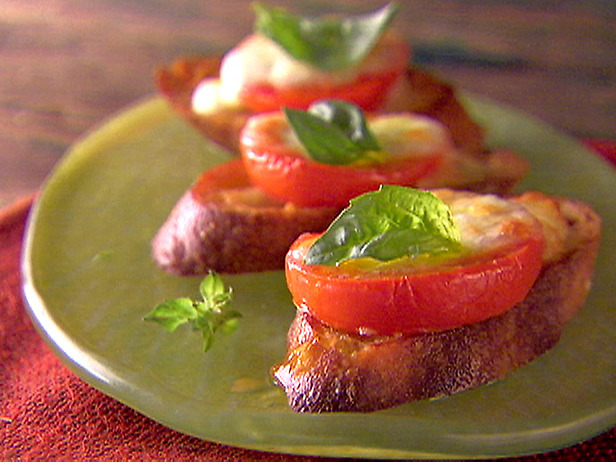 Anyway, here’s a great appetizer for your Labor Day picnic…or any day of the year. It’s light and refreshing and, if it’s too hot, you don’t even have to bake it. Just assemble as necessary and eat cold. Hello, readers! Well, I’m back from an awesome camping trip and not quite ready for Monday…however, here we are. I hope all of you had a great weekend! Today I’d like to share a great recipe for quick lunches, dinners, parties, etc. It can be made 3-4 days in advance and can be served as a main dish, side dish, or appetizer. Stove tops, ovens, microwaves, and hot plates need not apply. This is your ultimate “chop and drop” recipe. BONUS—It’s filled with vitamins and veggies…so stock up and fill up! Make tabolui according to package directions. Let sit in refrigerator for at least 1 hour (I wait to add any veggies to the mix while refrigerating. I usually just make the tabolui and add everything else right before serving). Add tomatoes, cucumber, cheese, and parsley. Mix to combine. 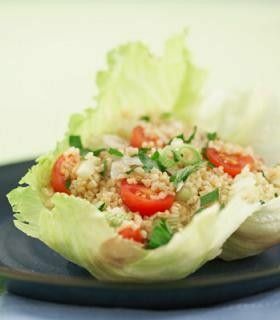 Serve as a side dish or in individual lettuce leaves. This salad can also be served with meat or on crackers. This recipe was given to me by my grandma last summer. I was a little worried at first, only because I hate Ramen noodles…but this salad is so amazingly good. It’s perfect just by itself or inside a lettuce wrap. Hope you enjoy! 1. 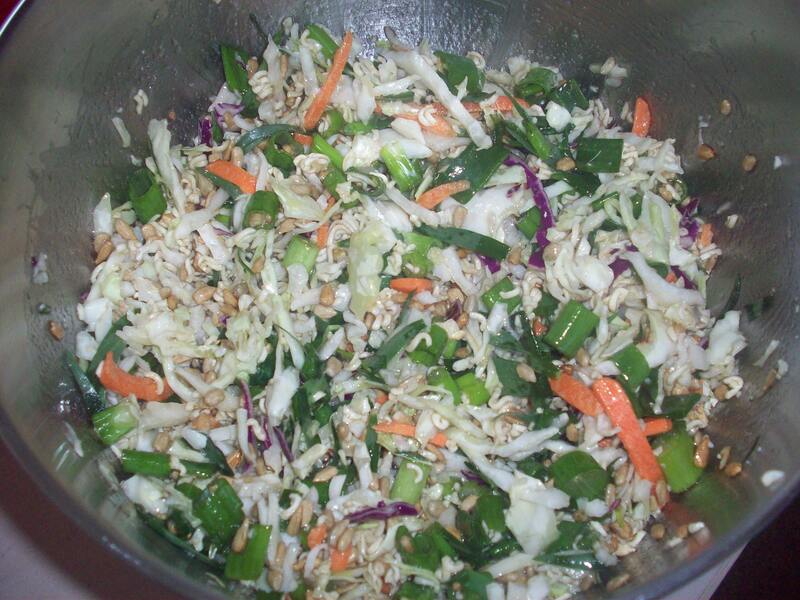 In a large bowl combine the coleslaw, sunflower seeds, and green onions. Open the Ramen noodles and set the flavor packet aside. 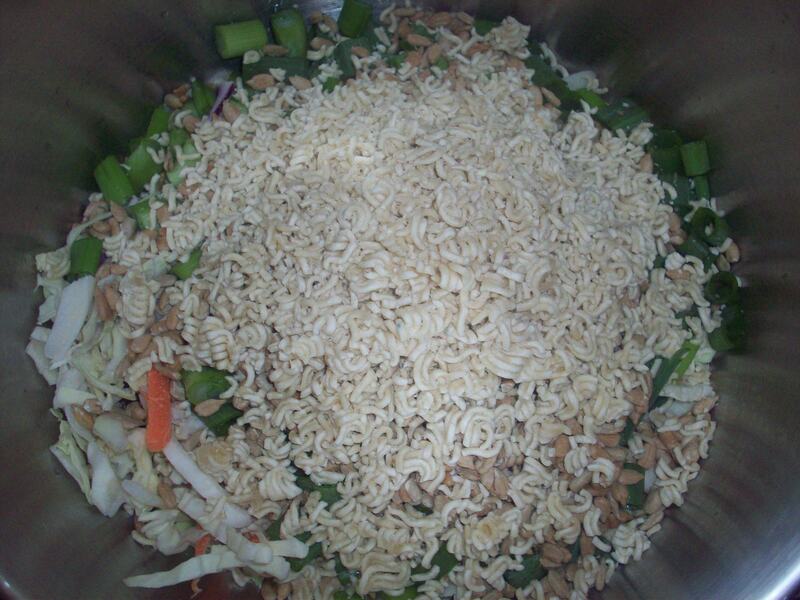 Crush up the noodles into the coleslaw mix. 2. 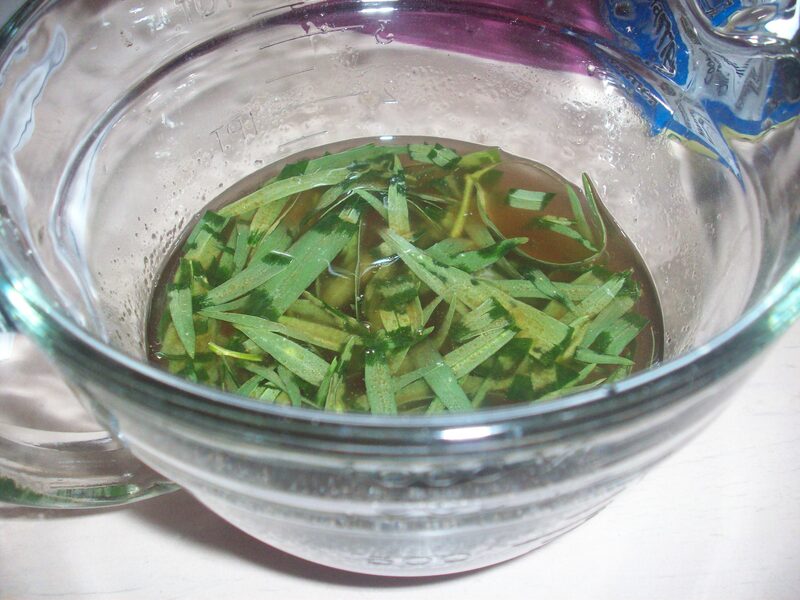 In another bowl, whisk the canola oil, taragon vinegar, sugar, and flavor packet together. Pour over your salad and mix/toss until everything is combined. Cover it with plastic wrap and refrigerate at least 2 hours (the longer, the better!). This is a great dish for a party because it can be made well in advance. It’s also perfect as a meal that, if made early in the week, will last you for the remainder of the week. It could be a side dish or a main dish. Add some grilled chicken and you’re good to go!